If you want to use your phone to earn money, then there are infinite apps to make money, really good ones. There are so many ways to make money online, and money-making apps are the easiest ways to earn some extra cash online. There are many apps which make good extra income in different ways like playing games, doing short tasks, watching videos or even selling books online. Making extra money from apps can be great in many ways because it is flexible and you can do the tasks in your free time, and the biggest plus is that they are easily accessible from your phone. I am listing these awesome apps to make money in different categories which give you extra cash for doing different things. These are the apps that pay you to watch videos and this is a big reader favorite. You can keep playing the videos in a loop and just check intermittently. Of all the ways to make money from apps, this can be the easiest. Earlier, there were only a couple of apps like this, but now there are many. These apps pay you to do short tasks which might include shopping or helping others with moving stuff, delivery, etc. You can also find some mystery shopping tasks with some of these apps. These apps pay you to do the surveys from your phone and earn some extra cash. Though not all survey companies have apps, the ones that do are good. Remember that these might not give you high income, but they can earn extra cash. You get paid to download and try these apps. These are the most fun and easy ways to make extra cash. There are many apps which let you sell your stuff like clothes, books, etc. and you can easily do this from your phone. These apps give you cash back or you are rewarded with points which you can redeem for cash. They can be an excellent way to make money from your regular shopping, all with your smartphone. These apps will pay you to just unlock your phone. That is the simplest way to make extra money. 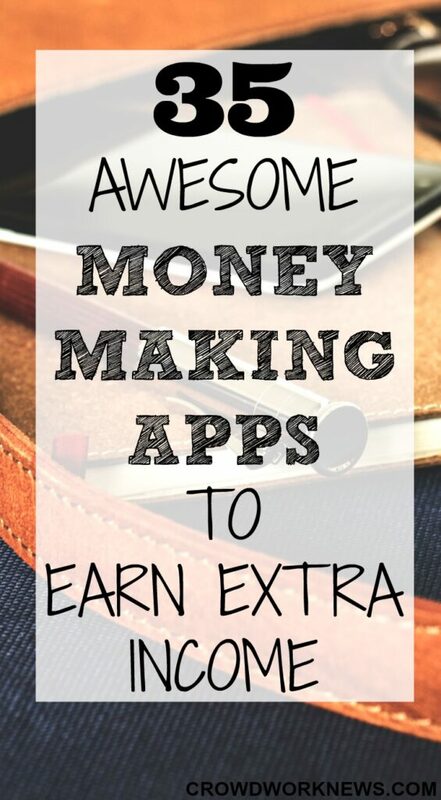 But don’t expect to make too much from these apps. Go ahead and try them out to start making extra cash now! !